Most of us remember that Neal had the first unassisted triple play in the big leagues (against Boston in 1909). Few will recall, however, that he hit his only home run of the season that inning (and one of only four during his career). 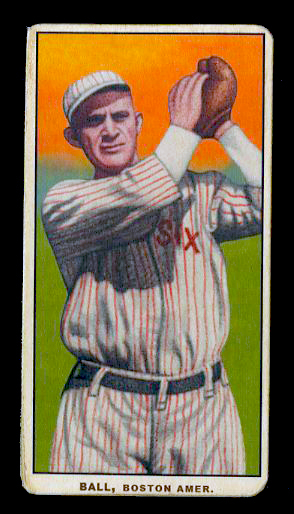 It sailed over the head of Boston center fielder Tris Speaker’s head, something that very rarely happened. In fact, it caused a great stir throughout the baseball world on it’s own merits. Here Neal is shown with the Red Sox, for whom he played for during the championship year of 1912. 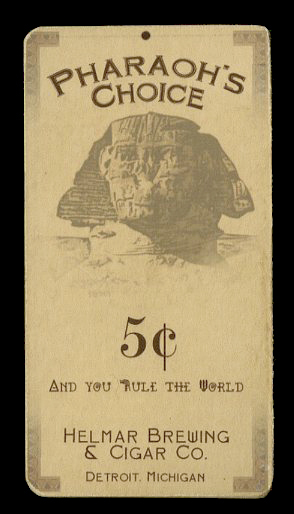 This will be the only Ball card with a Pharaoh’s Choice back. Here is a link directly to the auction, which ends Tuesday.